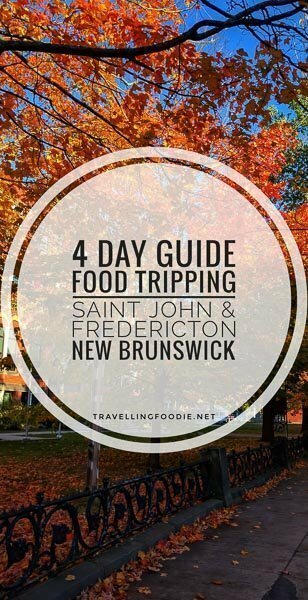 Last October, I went food tripping for 4 days in New Brunswick from Saint John to Fredericton. What a fun four days they were! 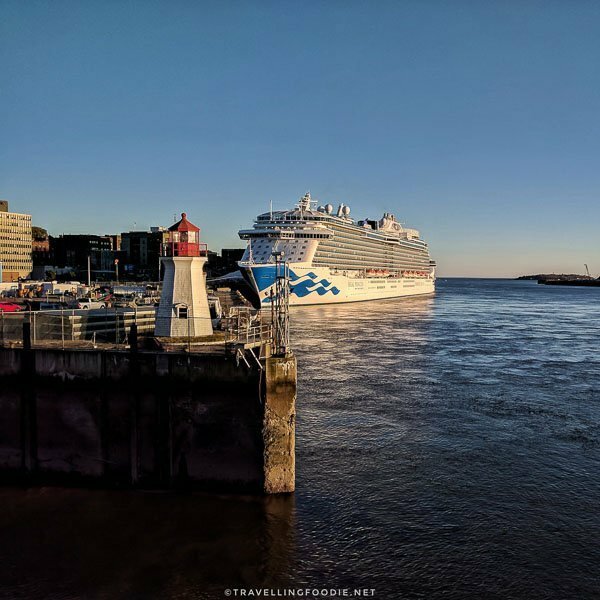 I was in Saint John for two and a half days, and one and a half in Fredericton. I’ve been to Saint John for a day before as part of a New England Cruise in 2012. It’s funny how I re-visited places from that cruise. I was also in Halifax earlier this year. This city thrives with tourists, majority from cruises, enjoying its historic sites and geopark. Did you know? 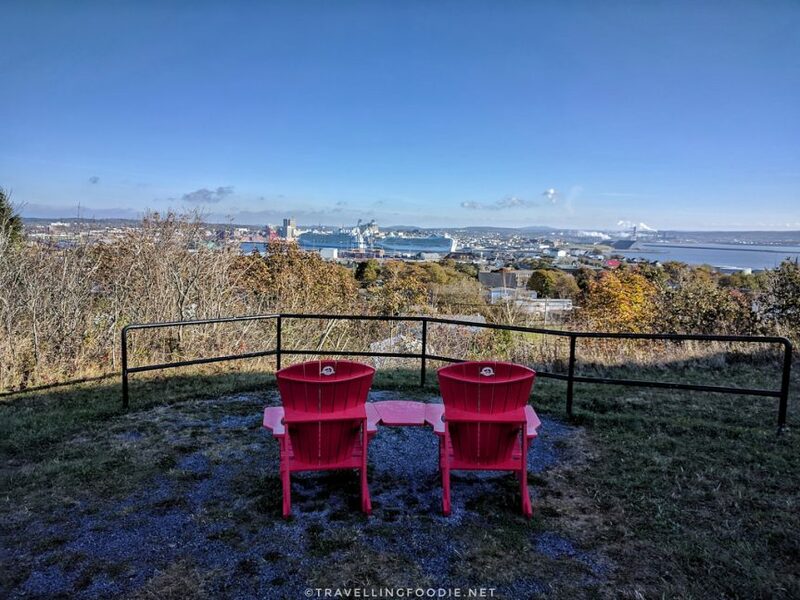 Saint John is the only city on the Bay of Fundy. 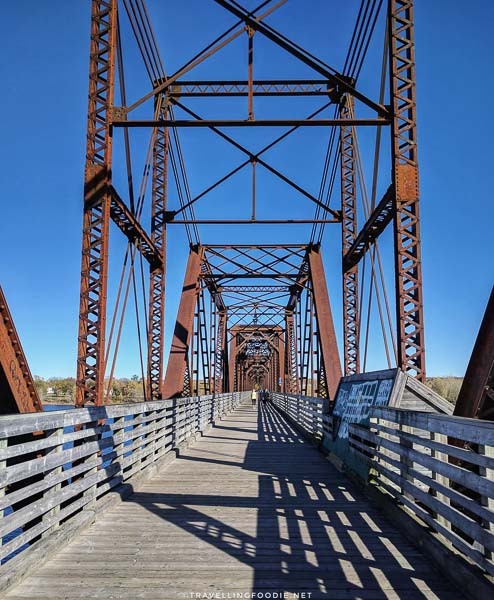 This was my first time being in New Brunswick’s capital, Fredericton, so I’m glad I was able to visit. It’s about an hour drive from Saint John. Did you know? 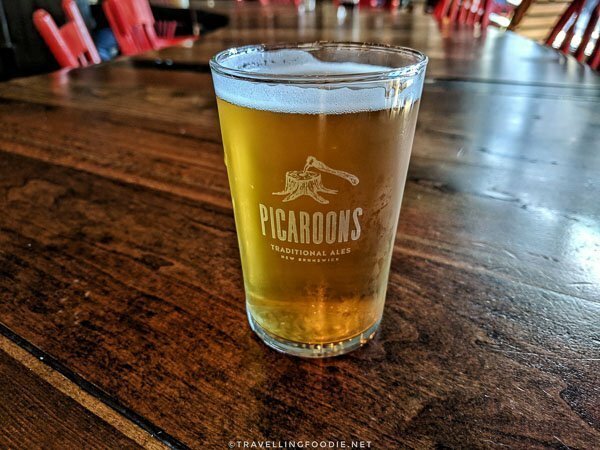 Fredericton has the most craft breweries and tasting experiences in the Maritimes. That’s awesome for drink lovers! I was mostly in Uptown Saint John, which is their “downtown”, and Downtown Fredericton. Both of them are such walkable cities that food tripping gets better because you don’t need to worry about parking, and you get to walk between places to eat! I started my trip from Saint John. It’s a 14.5-hour drive from Toronto, but luckily I flew, which took 2.5-hours. I landed Saint John airport in the afternoon, and so the food trip begins! 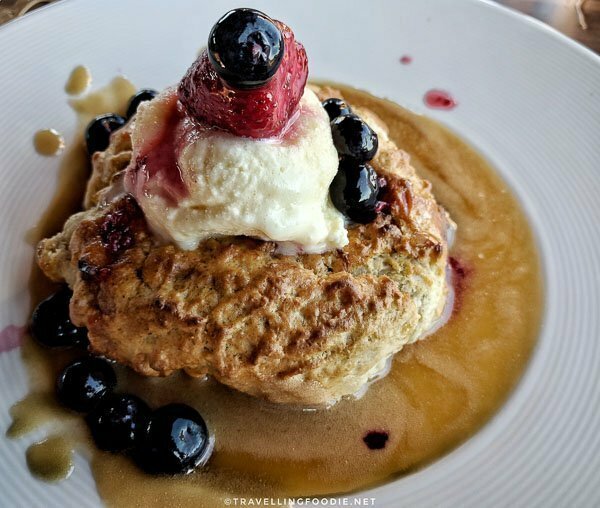 This guide is made to help give you an itinerary on where to eat and what to order from some of the best restaurants in Saint John and Fredericton. 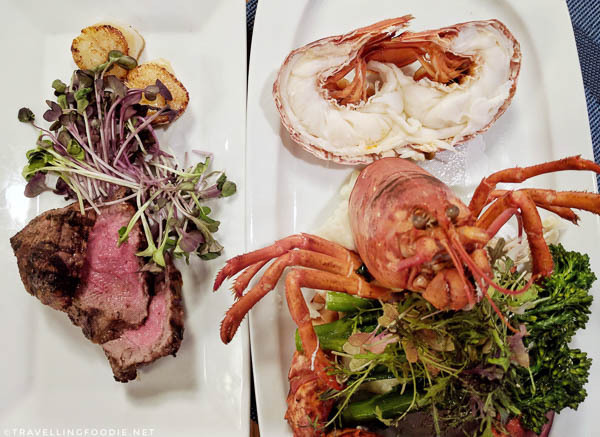 6PM was dinner at East Coast Bistro, a contemporary Maritime restaurant operated by Tim Muehlbauer & Kimberley Steele, Co-Chef/Co-Owner husband and wife team. 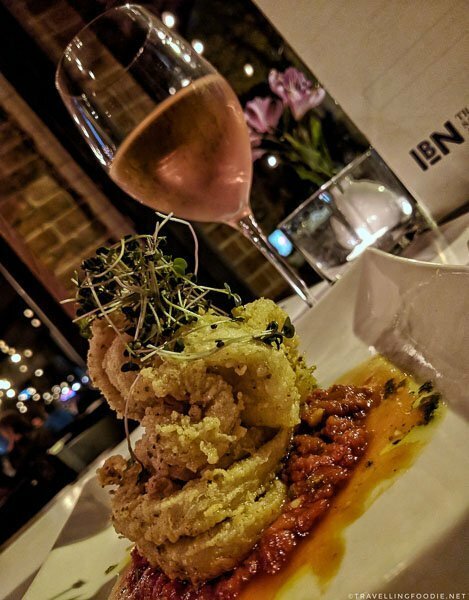 A favourite among locals, East Coast Bistro offers menu made in-house from scratch using local and seasonal ingredients. The ECB Poutine is huge and can be a meal on itself, or shared among many. The roasted chicken gravy was full with flavour on this one. And there were generous portions of Jolly Farmer Cheese Curds. Not sure if the fries here are usually not crunchy, but I kind of wish it was on mine so make sure you tell them if you want your fries crunchy. They have daily off-menu specials. 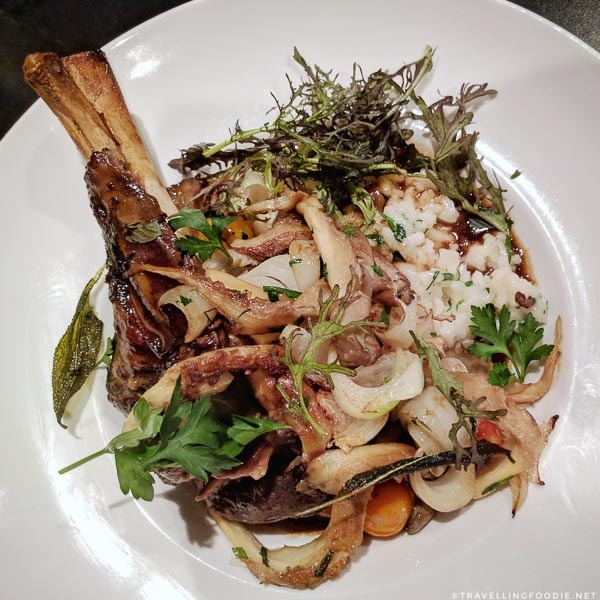 I tried their Lamb Shank Risotto which is not easy to find in restaurants. Delicious! I was so full after both dishes, but I always make it a habit to check out the dessert menu. 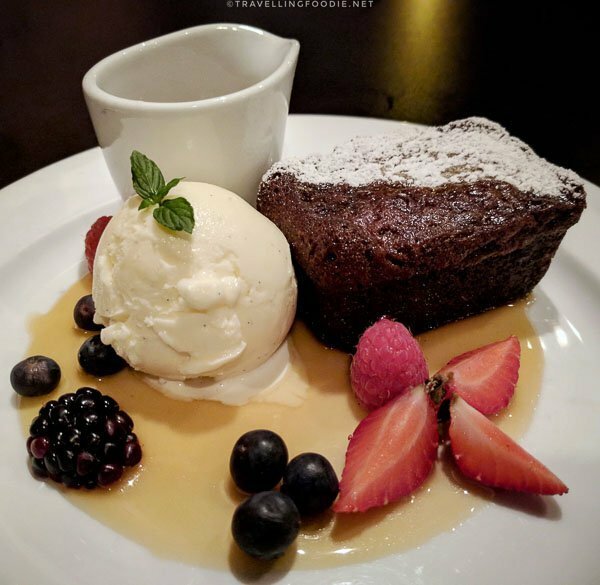 I’m glad I did because the Sticky Toffee Pudding is a must have here! Day 1 ends in #FoodComa! Day 2 started with a typical hotel breakfast and a tour around city by car. 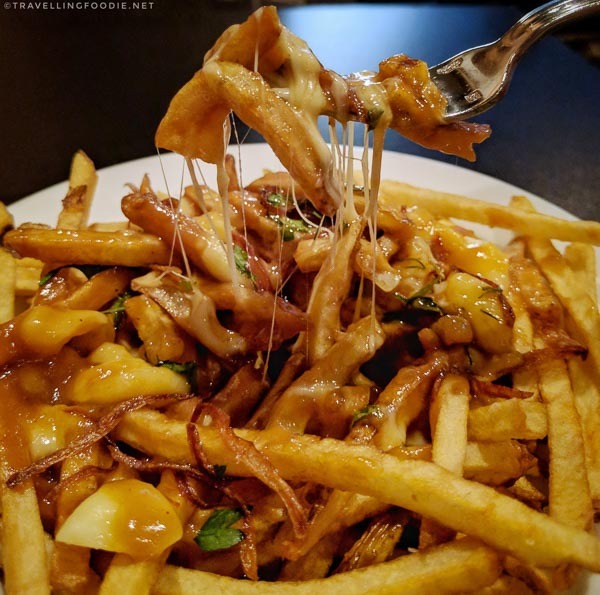 By 11AM, we headed to Reversing Falls Restaurant, the new restaurant replacing the former Reversing Falls tourist information centre and restaurant. Travelling Foodie Tip: If you’re dining at the restaurant, make sure you ask for a table with a view! If you don’t feel like dining, you can opt to do Skywalk right above the restaurant. 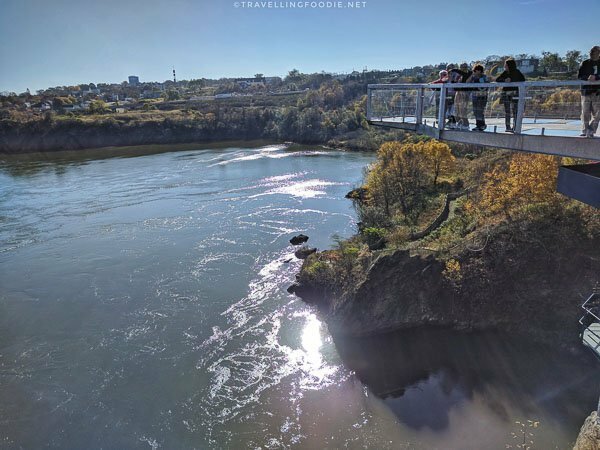 The Skywalk is an observation deck 28-foot past the cliff’s edge. 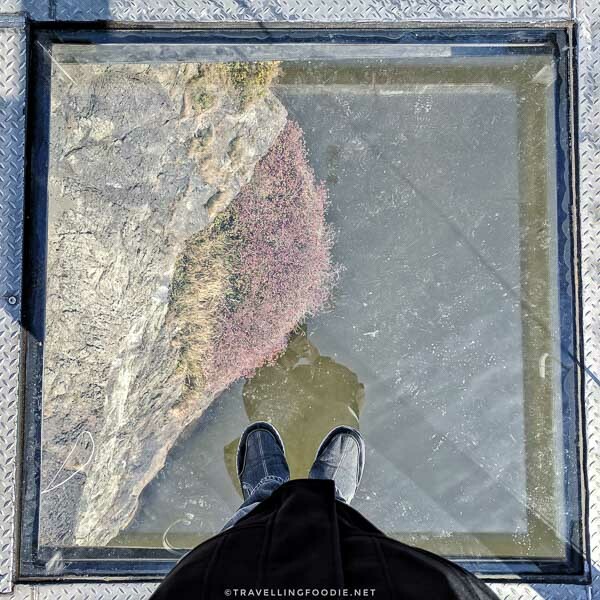 To make you feel like you’re walking in the sky, there are glass floors that make you look down the Reversing Falls Rapids! The must-order here is the Chowdah which was addictingly flavourful and had lots of lobster. End your meal by sharing a Gravenstein Crumpet which is crispy on the outside, and moist and warm inside. 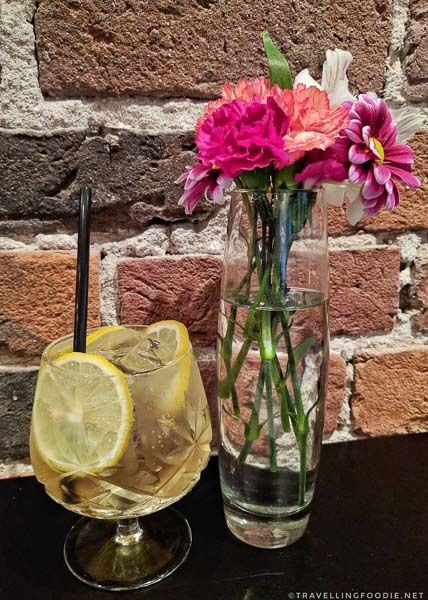 By 1:30PM, I headed to the King’s Square to join the Saint John Uncorked Tour where you tour the city for wine, beer and cocktails with food pairing. There’s a lot of people in the park so, to spot your tour guide, you have to find a person holding a colored pinwheel. Our tour guide was Anna, who grew up in Saint John and was in the city to visit family. She was definitely perfect for this tour as she knows a lot about the city and loves alcohol – even working in a craft brewery in Alberta. It’s interesting to note that locals also do this tour as the other two in the group (Abby and Katie) were locals celebrating a birthday. 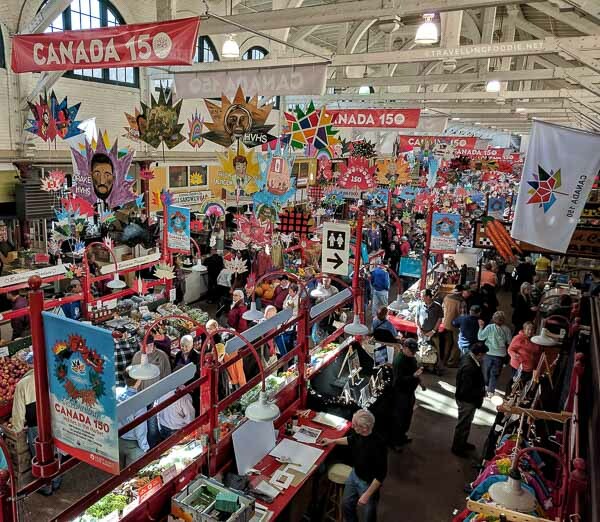 First stop was at Saint John City Market, the oldest operating farmers market in Canada, to check out local products and produce, fresh meat and seafood and more. 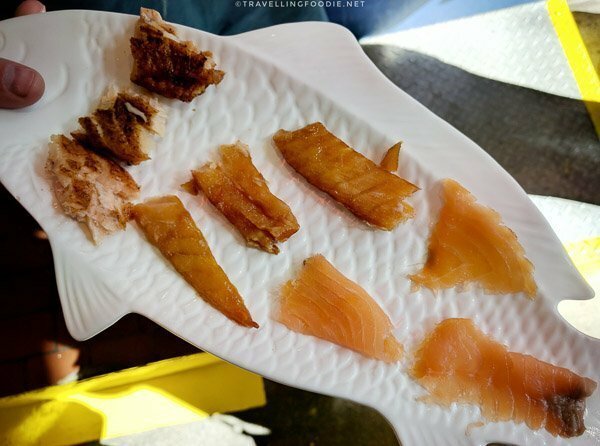 Here we tried a variety of True North Seafood salmon at the North Market Seafood stall. Next stop was Port City Royal for an amazing cocktail called Smoked Apple Old Fashioned. Pro Mixologist Eric Scouten explained that Old Fashioned is actually a family of cocktails that was originally called “cocktails”. When mixed drinks started getting referred to as cocktails, the original family of cocktails was then referred to as Old Fashioned cocktails to avoid confusion. Did you know? Old Fashioned cocktails have four main ingredients: water, sugar, spirit and bitters. In fact, it can be any spirit – not exclusively bourbon which people associate to Old Fashioned today. The Smoked Apple Old Fashioned uses Yip Cider reduced with maple syrup and a ton of spices into a thin syrup, which is the sugar component. 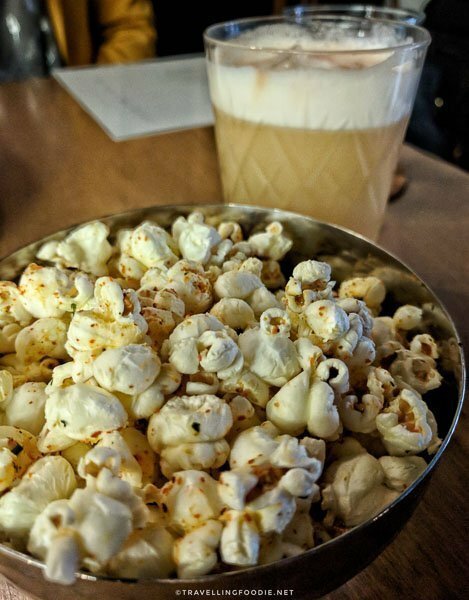 This sugar is then stirred with Fee Brothers Old Fashioned aromatic bitters along with Bittered Sling’s Spiced Crabapple Bitters. This is stirred in ice which is the water component. The drink uses 15 year old Barbados rum called Bumbo, which Eric describes as overripe banana stuffed with butterscotch pudding. The whole thing is smoked using shaved chips from an oak barrel where a Manhattan was aged for 2 years. We then headed down the street nearby to Picaroons General Store, which is the first microbrewery in New Brunswick. Here we sampled three different beers with a charcuterie board of meat, cheeses and vegetables from Locavore Cafe. I loved the Irish Red the most. Our next stop was Big Tide Brewing, Saint John’s oldest brewpub. This seems to be a local favourite as everyone in the tour said this was their favourite gastropub. We were greeted by Thomas who passionately explained their brewing process and the four different beers we tried. We got to try the seasonal Pumpkin Spice beer which was really good especially since I’m not too fond of pumpkin spice in general. 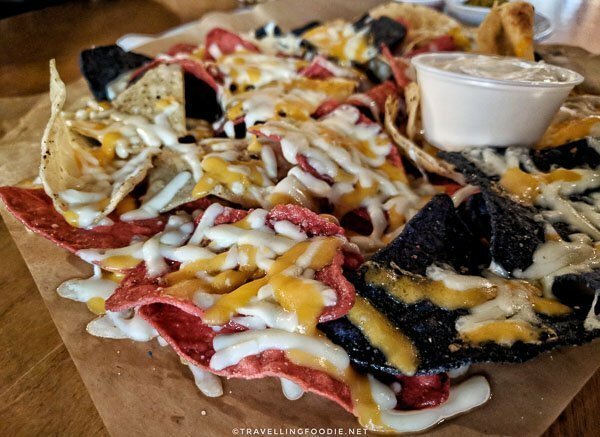 Being a gastropub, we were served some delicious nachos to pair with the beer. This tour really makes sure you end on a happy note. 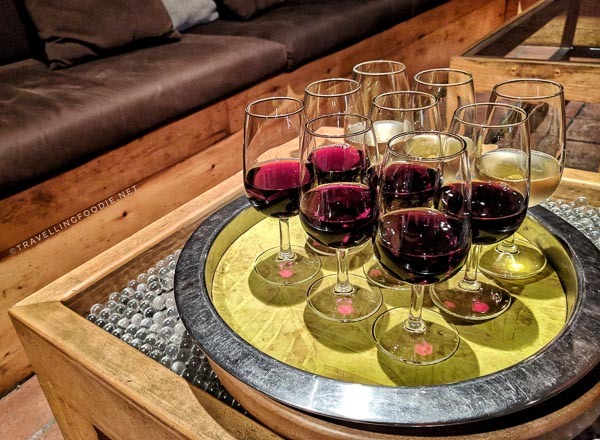 Our last stop was at Happinez Wine Bar known for being the little bar with lots of wine. Here we sampled two reds and one white wine. 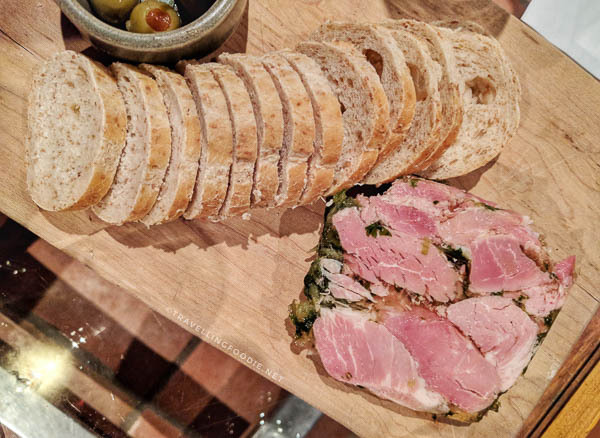 We got a choice between two food pairing, and we opted for the Jambon de Bourgogne. The tour ends around 4:30PM. 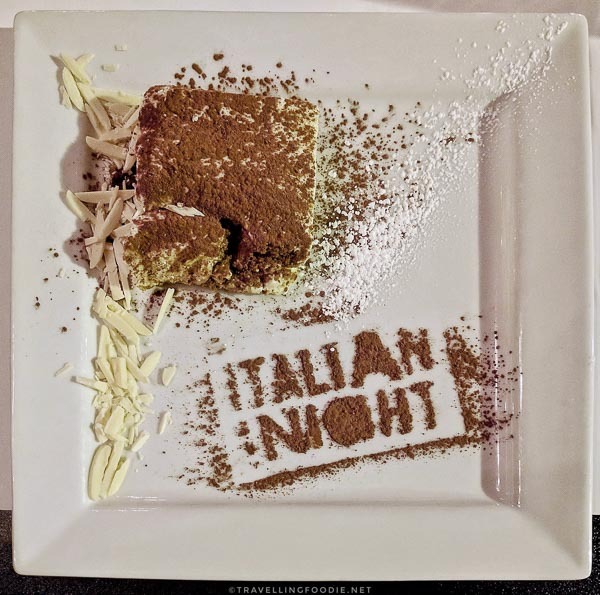 At 7PM, I headed to Italian By Night, which has an interesting back-story. It’s owned by the same people behind Urban Deli, and it actually started off being in the Deli. The saying was, Deli By Day, Italian By Night. At the end of the day, the owners would transform the deli into this Italian restaurant. Because of its popularity, the owners decided to open a separate location after four years being in Urban Deli. The space is quite big and the ambiance is romantic yet relaxed. There are bar seating, dining areas and their signature family-style tables. 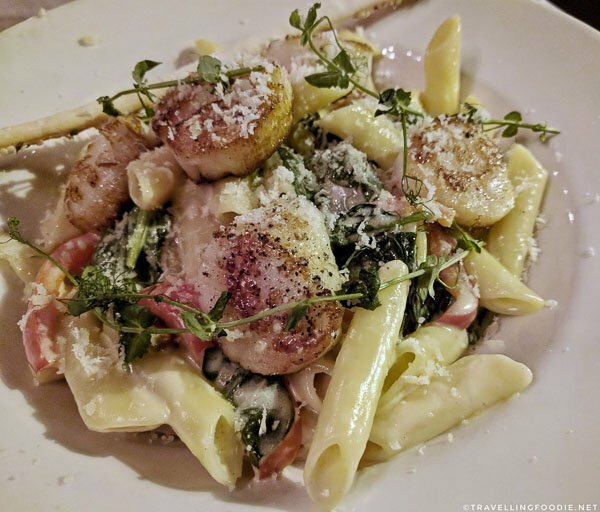 Their menu focuses on imported Italian ingredients combined with local seasonal ingredients. One thing you should definitely have here is their pizza. 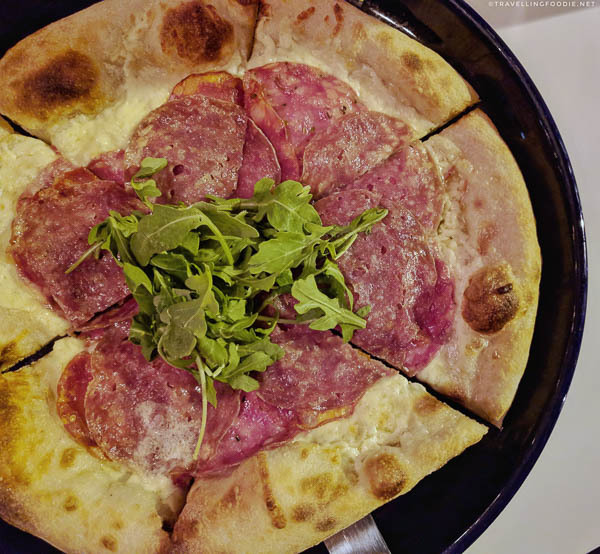 Made from scratch, their pizzas are light and crispy from hand-stretching and baking on stone. I always judge an Italian restaurant’s dessert by their tiramisu, and this one hits the spot. Ending Day 2 on a sweet note! Day 3 is the last day at Saint John. 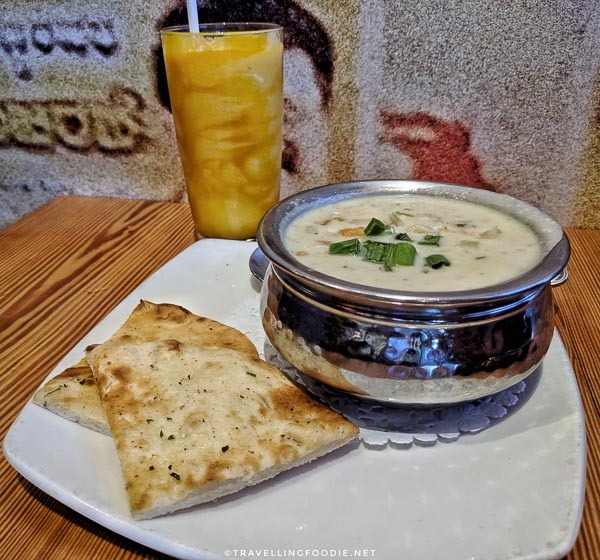 At 11:30AM, I headed to Thandi, a family owned Indian restaurant offering East to West fusion dishes that are made-to-order. Did you know? Owner Ken Singh came from India in a small village called Thandian in Punjab. As you enter the restaurant, you’ll get an aromatic smell of spices, curry and freshly made bread. You should definitely try their curry since they only use spices bought from India. 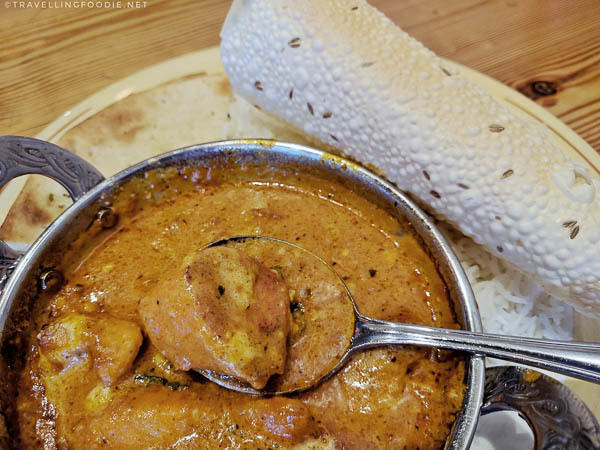 I loved the Butter Chicken with its creamy and flavourful curry sauce, one of the better ones I’ve had! I drove around 1 hour to Fredericton. After settling into Crowne Plaza Fredericton hotel, I headed to Chess Piece Pâtisserie, a Parisian style cafe. 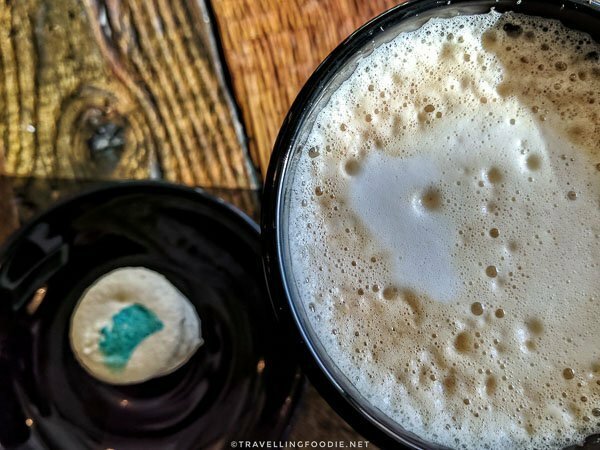 They are known for their hand-made desserts, and coffee roasted by an Indian coffee grower. I enjoyed their Scottish cookie macaron (first time seeing this) and hazelnut latte. 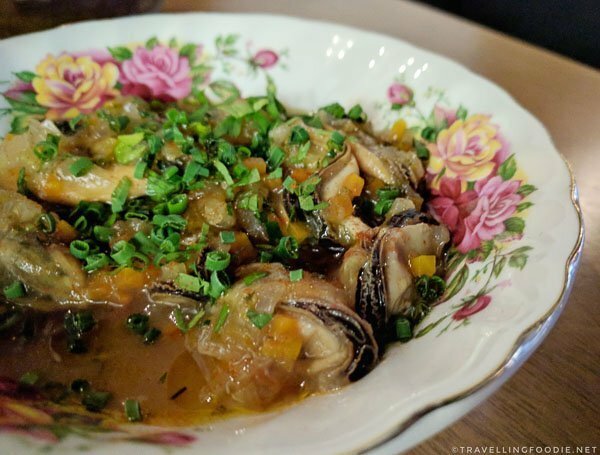 At 6PM, it was time for dinner at 11th Mile Restaurant, newly opened since September 2017 and run by Chef Peter Tompkins and Jennie Wilson, a husband-and-wife team. Did you know? 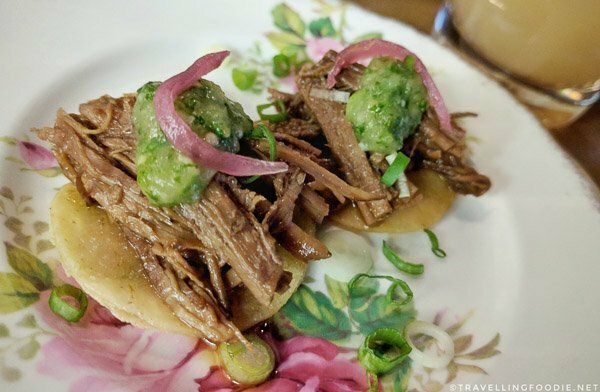 Chef Peter was head chef at Toronto’s Quince Bistro and Noorden. He was also a consultant for Little Sister when it opened. 11th Mile was my favourite this trip because of its uniqueness and creative dishes, and everything we had was delicious. 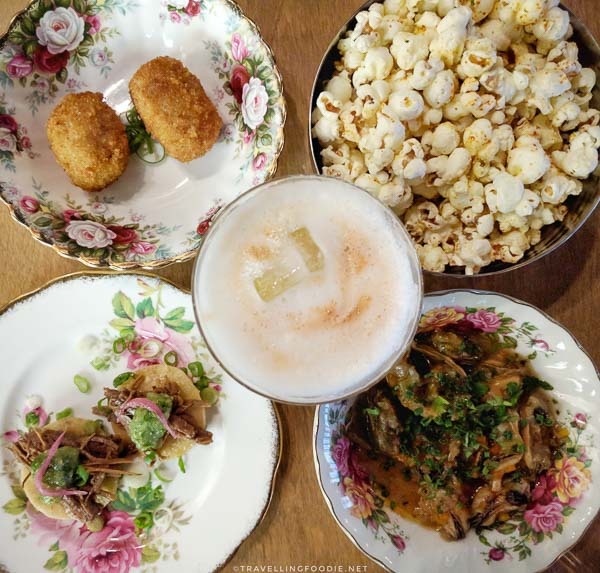 You can’t go wrong with their fried olives, mussels escabeche and togarashi-spiced popcorn. 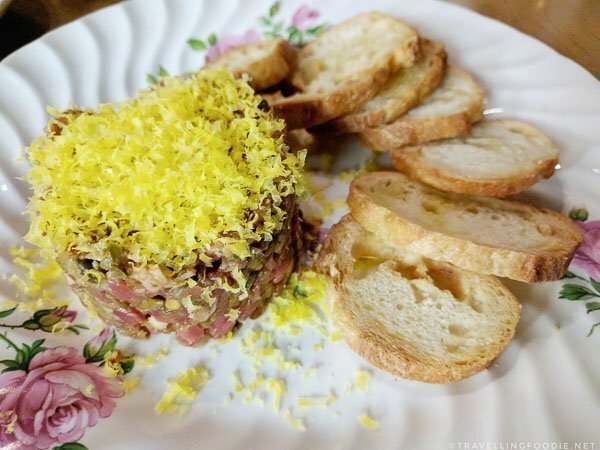 For Plates, the steak tartare was good especially once you mix the cured egg yolk. But what you should definitely get is the Ocean Trout, which was so fresh, well-marbled and melt-in-your mouth. They’re also popular for their craft cocktails. I highly recommend the Whiskey Sour. It will whisk you off your feet. Day 4, the last day, started with breakfast at Fredericton Boyce Farmers market, one of the top 10 markets in Canada. They are only open on Saturdays from 7am-1pm with over 200 vendors to choose from indoors and outdoors. I always love to start my day with coffee so I just had to check out The Whitney Coffee for an americano. Their beans are ground to order and roasted fresh every week. I was quite surprised about the popularity of samosas in this market. There were two food stalls outside selling them side-by-side, both with long line-ups. 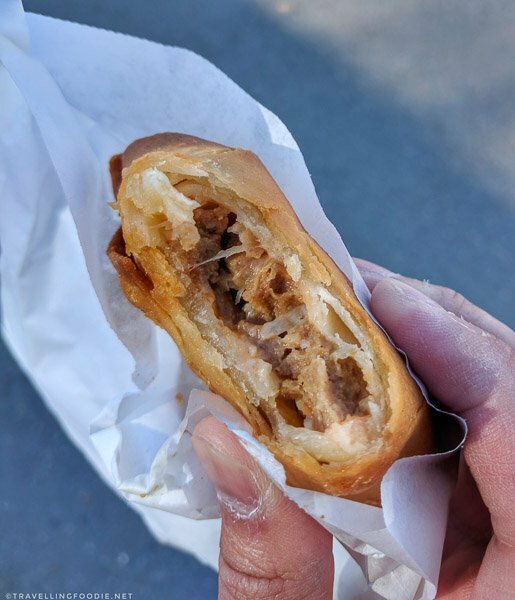 I loved the Donair Samosa from Yummy Samosas. 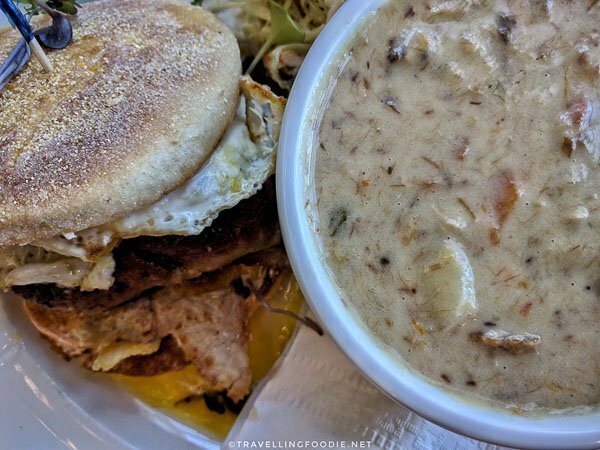 At 12PM, it was time for lunch back at Terrace Restaurant, Crowne Plaza Fredericton’s restaurant that offers farm-to-table comfort food. 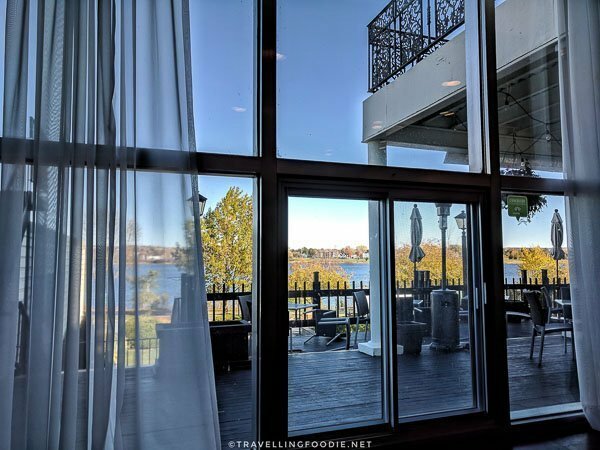 The restaurant is aptly called Terrace because it has a terrace with a wonderful view of Saint John River. 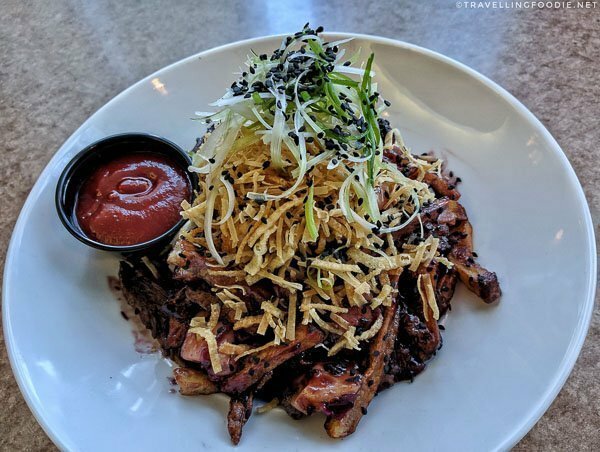 They have some very interesting fusion items on the menu like Peking Duck Poutine, The Cuban Miso Crisis, Indian Butter Tofu and Fish & Chip Naanwich. What caught my eye the most was the Million Dollar Breakfast Sandwich. Firstly because of the name, but also because it has pan seared foie gras which I love. 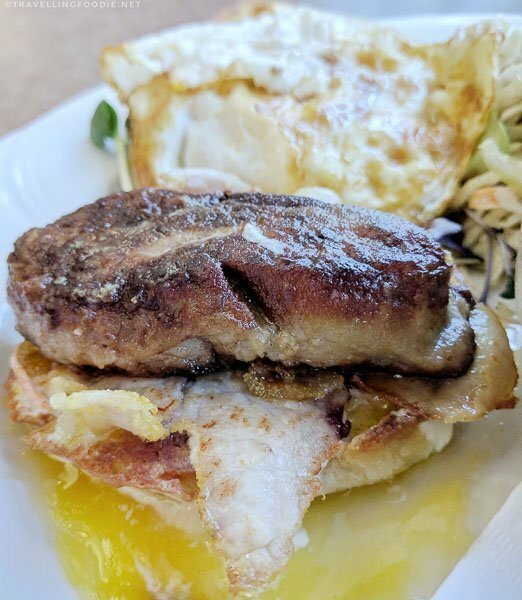 This is the first time I’ve heard of a breakfast sandwich having foie gras. 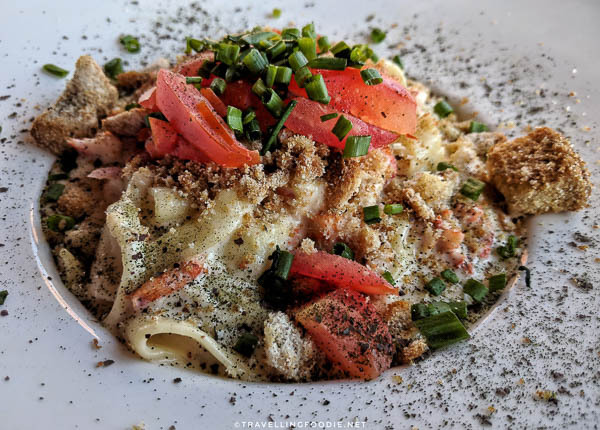 I initially thought the house peameal bacon was the main protein, but this dish knew me so well because the main ended up being a big slab of foie gras! Yum! 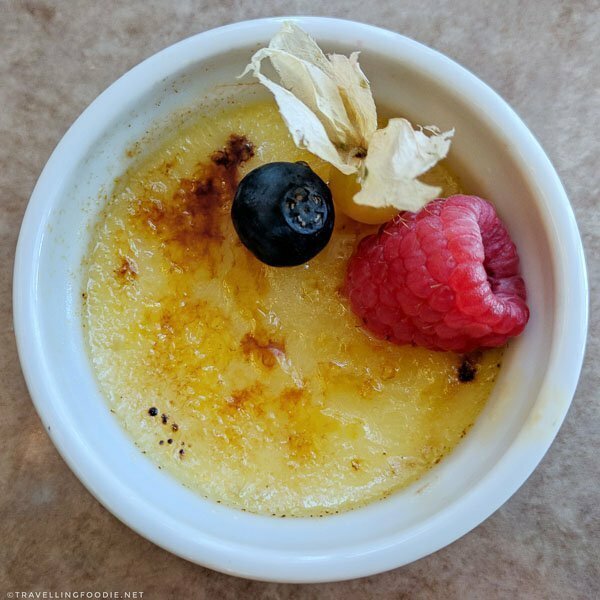 If you’re a big fan of Nutella or Creme Brulee like me, you can’t go wrong with their Nutella Creme Brulee. 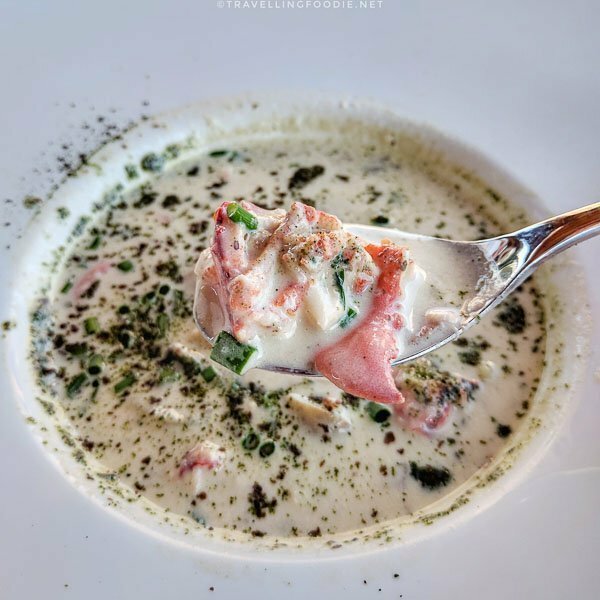 For this trip, you’ll notice the food was more focused on various cuisines instead of seafood focused, but you can’t leave New Brunwick without having a seafood feast. 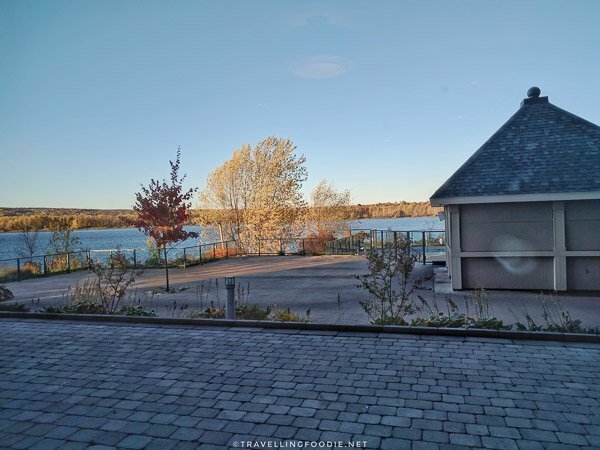 This is exactly what I did at [catch] Urban Grill, the waterfront restaurant at the Delta Fredericton Hotel. I wanted a drink for my last night. 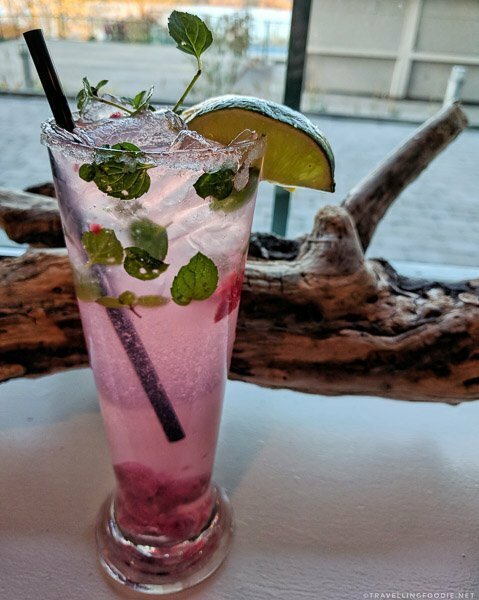 I started off with a refreshing Raspberry Mojito. 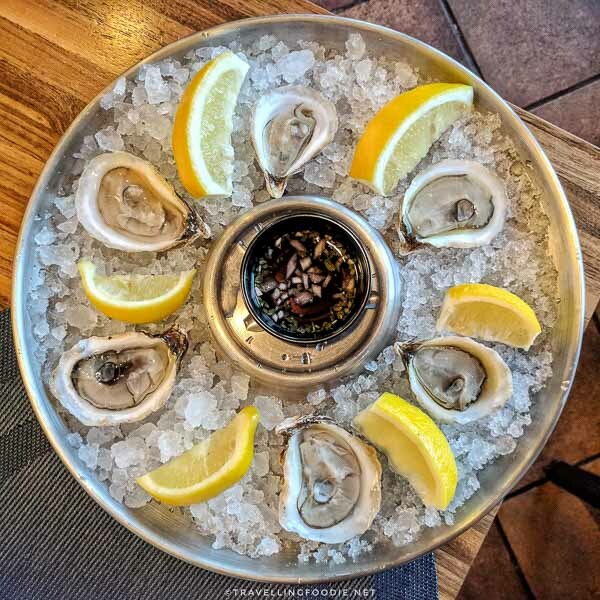 I love oysters so I decided to choose their Locally Sourced Oysters, which were Pickle Point Oysters that night. And then the grand finale to end my food trip was the Whole Lobster, which was so fresh and sweet! 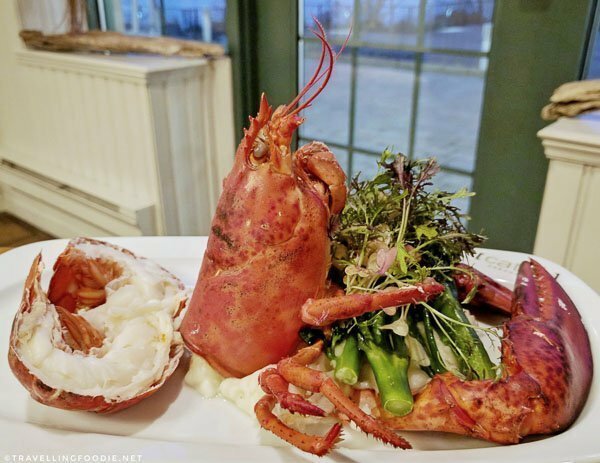 The story behind the lobster was interesting too. When I first ordered it, I was told it was out of stock already. I couldn’t imagine that I was about to end my trip without having lobster. As I was looking for my substitute main, the server came back to say that the chef is in the market and can get lobster for me. Santa Claws came early for me. What a way to end the trip! The next morning, I was packing up and heading back to Toronto! 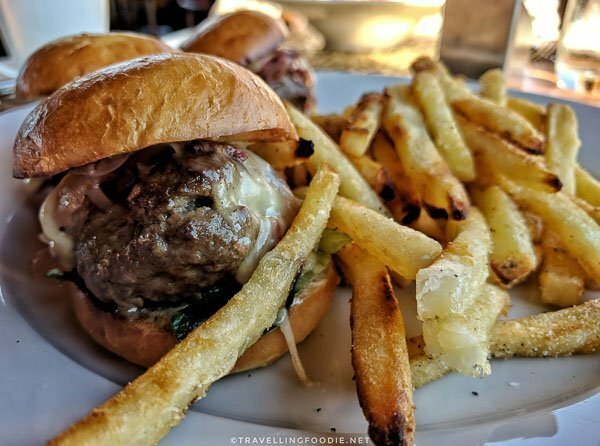 Have you been to these places I went on my food trip? What did you think of them? 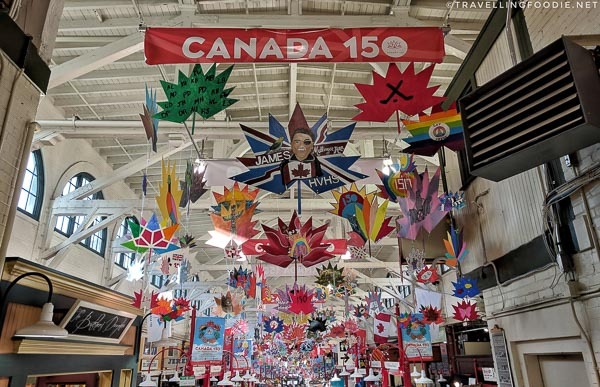 DISCLAIMER: This article was created in partnership with Tourism New Brunswick. 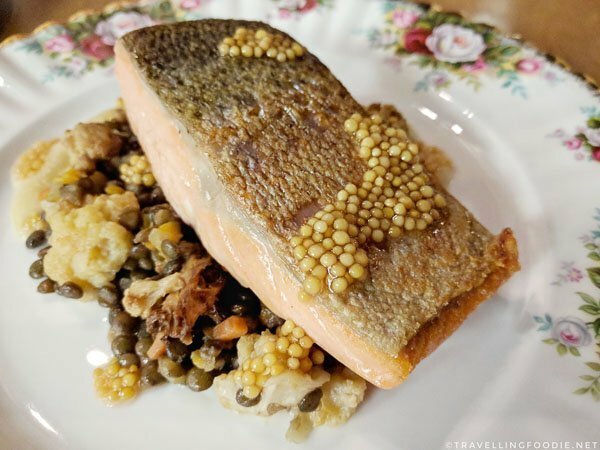 Posted on November 20, 2017 January 2, 2019 by Travelling FoodiePosted in Canada, Food, Fredericton, New Brunswick, Saint JohnTagged food trip, nature, products, restaurants, tours. Beautifully narratedâ€¦Pictures are simply marvellous as usualâ€¦Loved the detailed description of the place. Thanks for sharing.